The Oval Grub Tub is the newest version of the highly popular Grub Tub which allows your customers to easily carry a food and beverage combo in one hand. The patent-pending engineering consists of rings around the bottom which enable the Oval Grub Tub to fin onto all existing cups, bottles and cans by replacing the lid so your customer can place their food on top of their favorite drink! 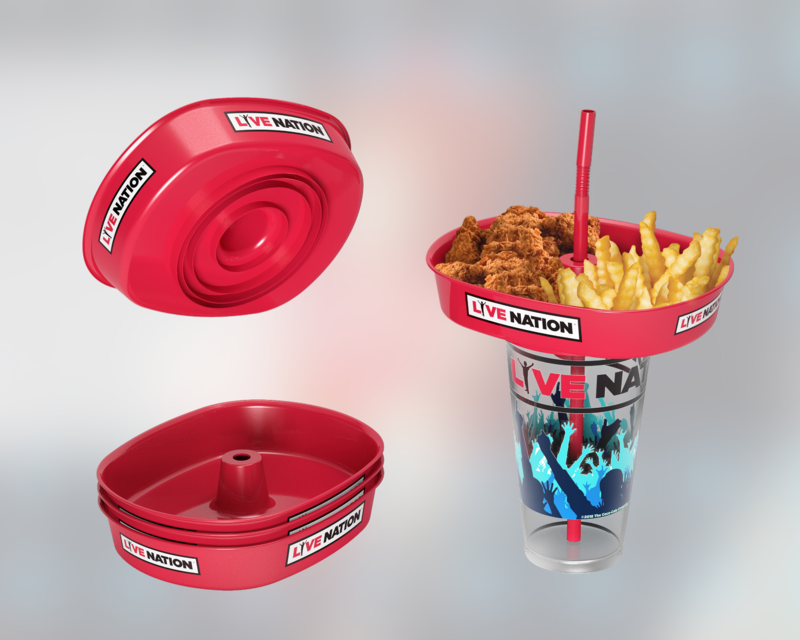 Thanks to its 44oz capacity, the Oval Grub Tub can be served with all types of food, from pretzels and popcorn to double-cheeseburgers with fries or even chicken tenders with some ranch on the side! Join many others and purchase your Oval Grub Tub today and by doing so increase your concession sales and improve customer satisfaction!